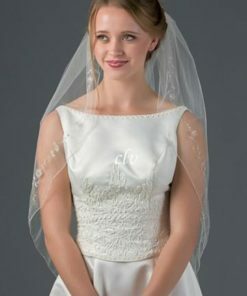 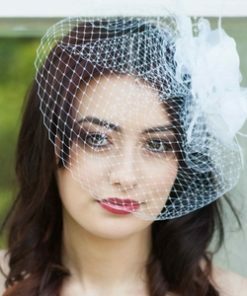 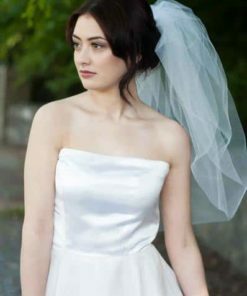 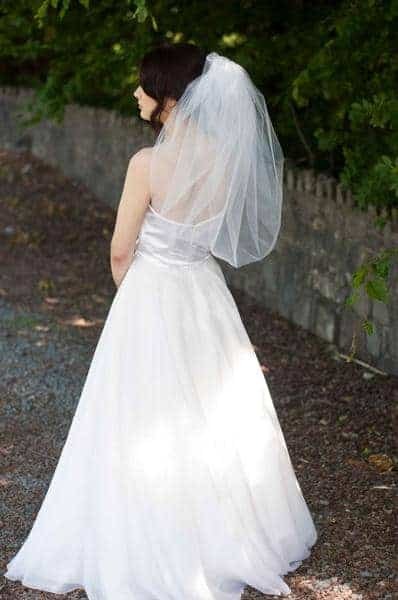 A wedding veil fit for a bride that wants a no fuss option. 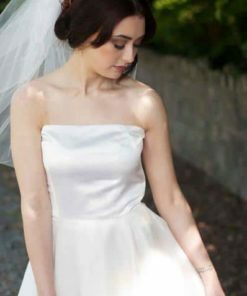 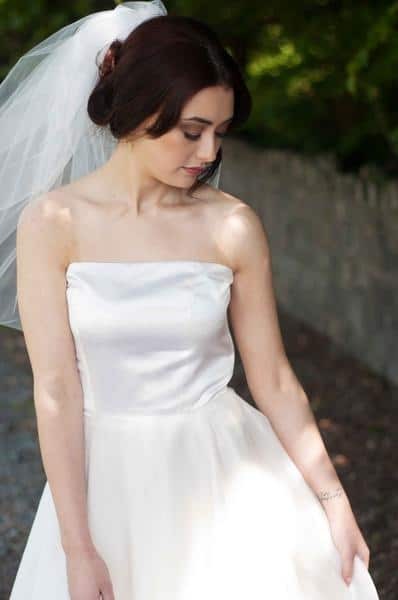 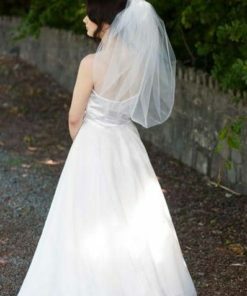 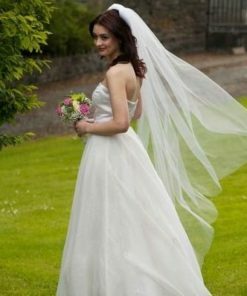 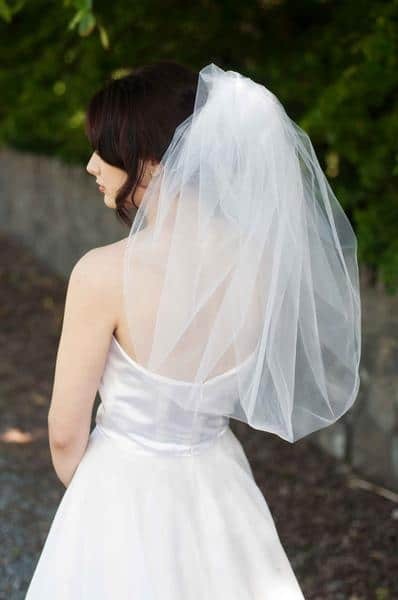 This bubble veil is 25″ in length and handmade with soft bridal illusion tulle. 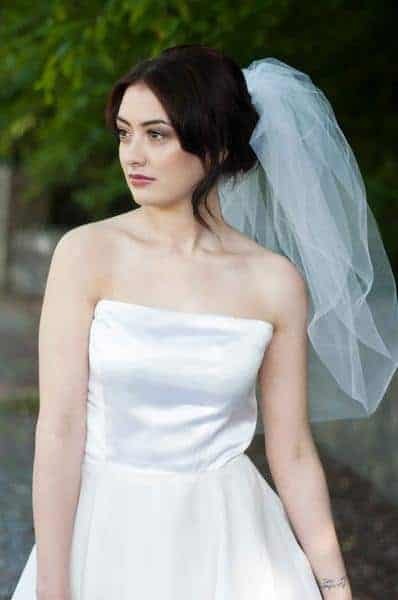 Folded over to create a full and beautiful look that some brides crave. 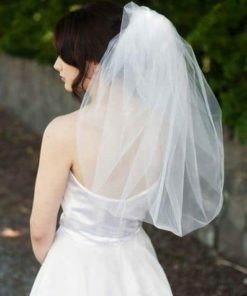 Shipping time 2-3 days after purchase.